Royal Mail honours Tommy Flowers with a first class Colossus stamp. 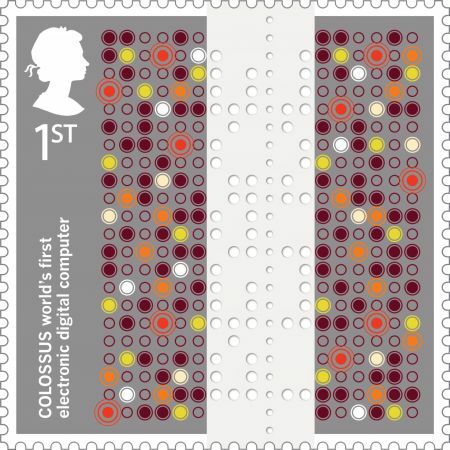 Article via The National Museum of Computing Web site. * A recording of the sounds of the Colossus Rebuild have recently been made by sound artist and composer Matt Parker and will be deposited in the British Library sound archives. Get a link via the TNMOC article. Click the "Return to List" link below to visit the Cryptologic Bytes Archives.